1: Rinse the pork shoulder under cold tap water. Pat dry. 2: Finely chop cilantro leaves. 3: In a large mixing bowl combine cilantro, ghee, onion (powder or fresh), chili powder, pepper (cracked or pre-ground), garlic (pre-minced or fresh), sea salt, ghee, lemon & lime juice and salsa verde. Mix until all ingredients are evenly distributed (if desired, also add chopped jalapenos for additional heat). 4: Pour half of the salsa mixture into bottom of slow cooker. 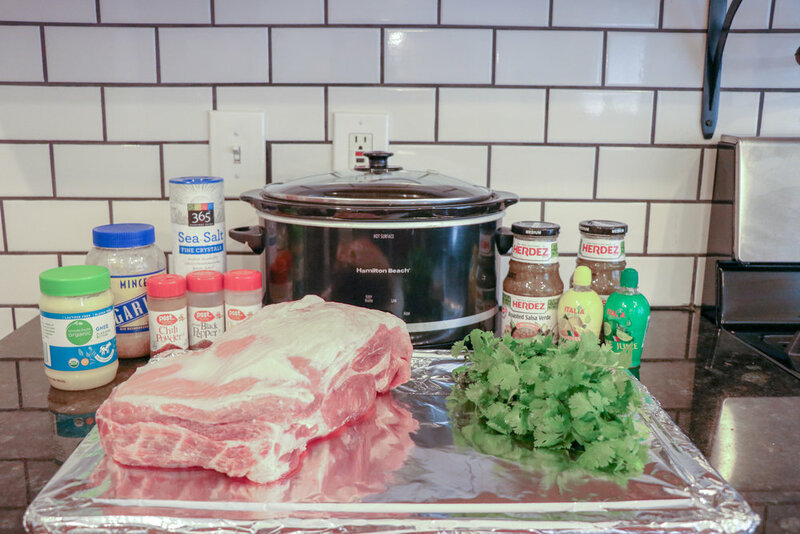 5: Place whole pork shoulder into the slow cooker. 6: Pour remaining salsa mixture on top of pork (meat should be at least ¾ submerged). 7: Turn slow cooker on high. 8: After approximately eight to ten hours use two forks to shred pork in salsa (LEAVE the bone in salsa/pork mixture as it provides additional flavor). 9: After approximately eighteen to twenty hours turn slow cooker to low, prepare tacos and enjoy! 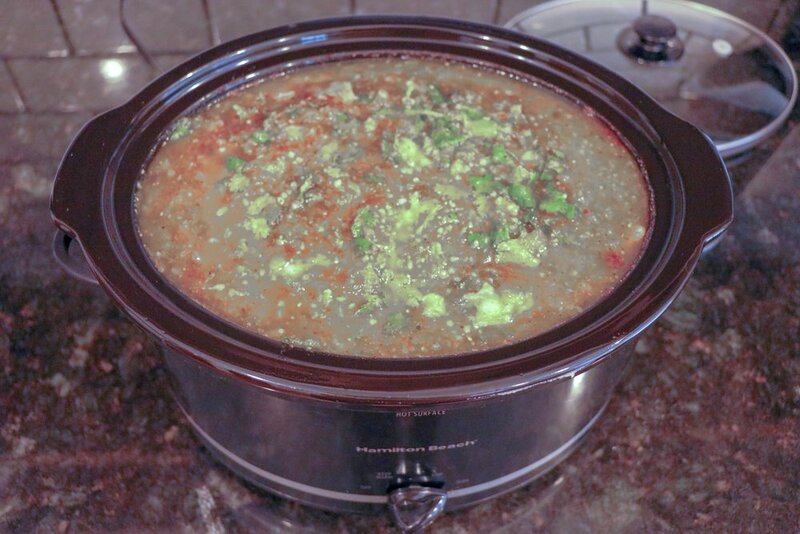 (at 18-20 hours, salsa mixture should have reduced ~1-2” in the slow cooker). -The fresher ingredients, the better this dish will taste. If possible, use fresh vegetables, spices, and locally sourced meat. For the purpose of this particular recipe, a mixture of fresh items and store bought were used to lower the prep time and difficulty…to make it a little easier for us non-foodies. -Want to increase your heat? Toss some peppers into the salsa or some hot sauce on the taco! Keep an eye out for Eventide Hot Sauce coming your way.